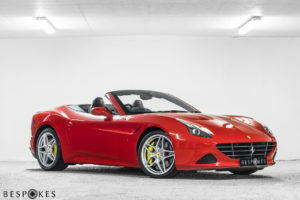 *Deposit £5,000, Excess £7,500 | Extra Miles £7.00. Brand-new from the ground up, the Lamborghini Huracán sings like a jackhammer choir as you fire up the 5.2-litre V10 engine. 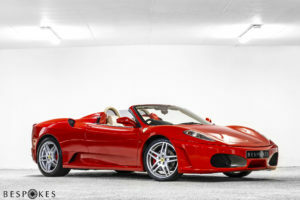 Lighter and quicker than the Gallardo’s before it, this four-wheel drive supercar moves faster than the wind. The Lamborghini Huracán Spyder has taken the concept of super and sports cars to performance levels never seen before. 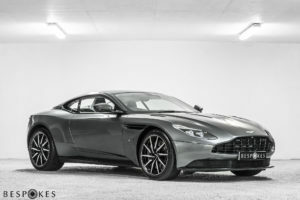 Highly respected for its engineering and improvements to weight, engine power and chassis it also features an innovative system of active aerodynamics. 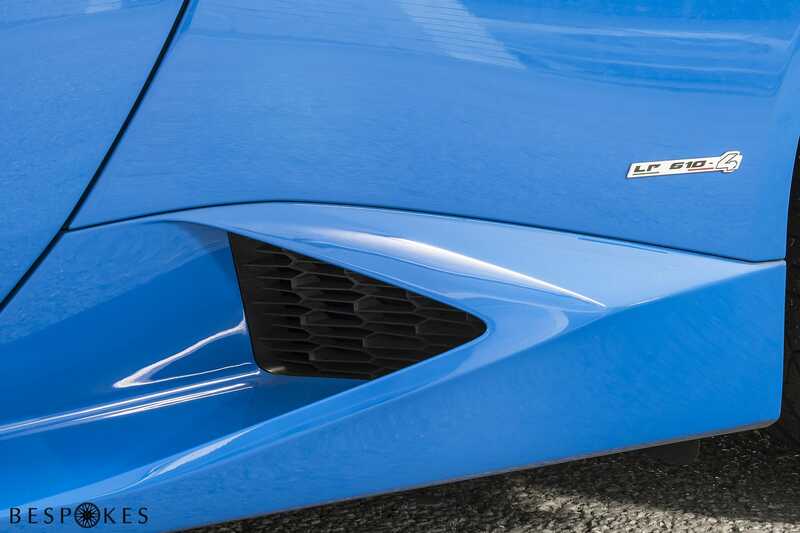 The Huracan’s body signifies Lamborghini statement design with sharply defined edges and a curved front. 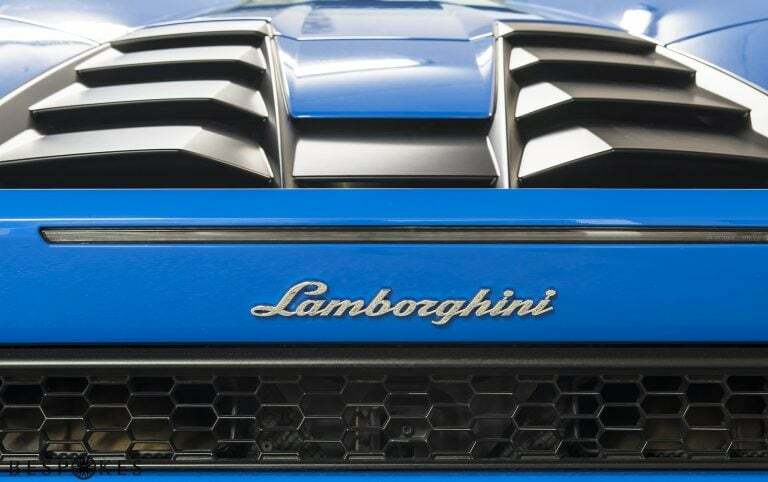 Combining Italian flair with the legend of an ageless icon this is the most daring and dramatic choice for those who want to rent a Lamborghini. 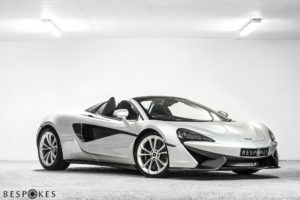 A favourite among celebrities and synonymous with wealth, indulgence, and speed. 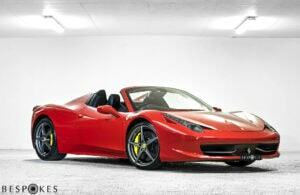 Hiring a Lamborghini Huracán LP610-4 in the UK is an experience that you will never forget. 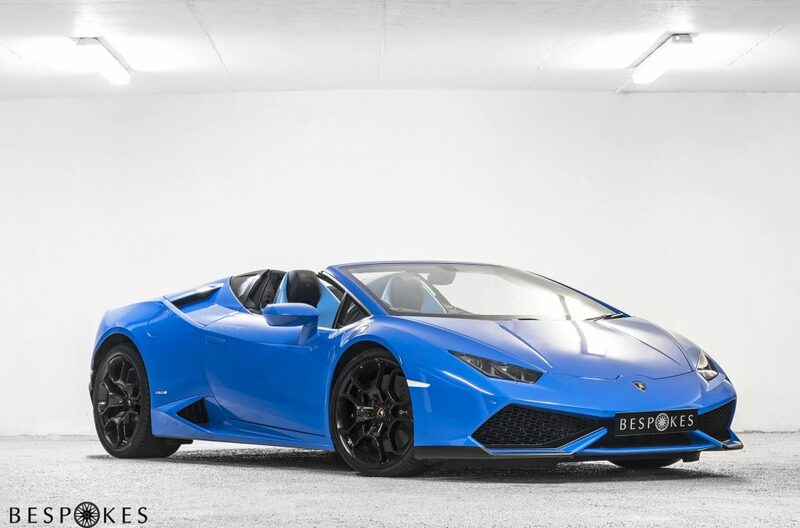 Finished to our stunning special-order Blu Le Mans, we believe this to be the only Blu Le Mans Huracán Spyder available for self-drive hire in the UK. What's it like to drive the Huracan Spyder? Launched in 2014 and named after a Spanish bull fighter, the Lamborghini Huracan LP610-4 is a whirlwind of a supercar with an array of impressive features. Replacing the 11-year-old Lamborghini Gallardo, the Huracan had much to live up to, and it does with the gusto you would expect from the Italian manufacturer. 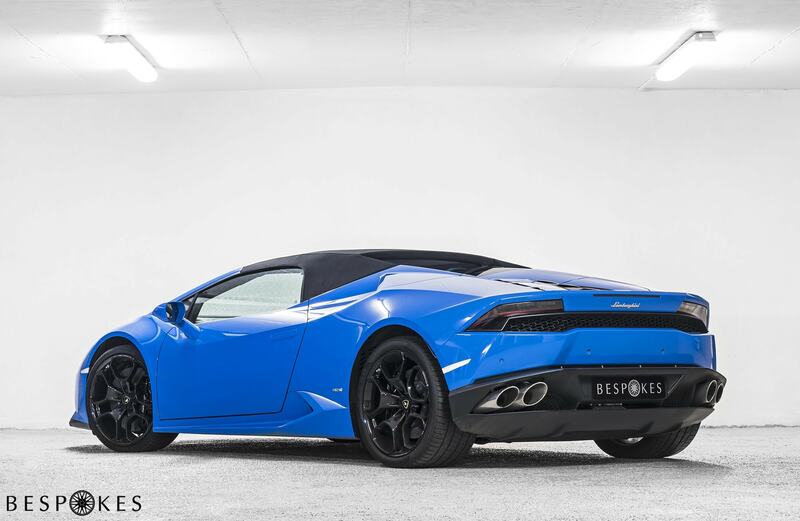 Experience the Huracan Spyder on the open road and you’ll realise this is not just any four-wheel drive supercar. The Huracan is fitted with a four-wheel driving system that sends 70 percent of its power to its rear, delivering a traditional handling experience. The power delivered to each wheel is mind-blowing. As you ease into corners the grip is unfathomable. The response is exceptional. It has captured the free spirit of Lamborghini, whilst delivering a sophisticated ride and a thrill you will never forget. On-board technology surpasses most normal road cars, with details like magnetic suspension that instantly adapts to the road conditions and driving modes that change the sound of the engine. You can alter the acceleration and steering responses, the settings of the suspension and change the exhaust note to suit your preferences. 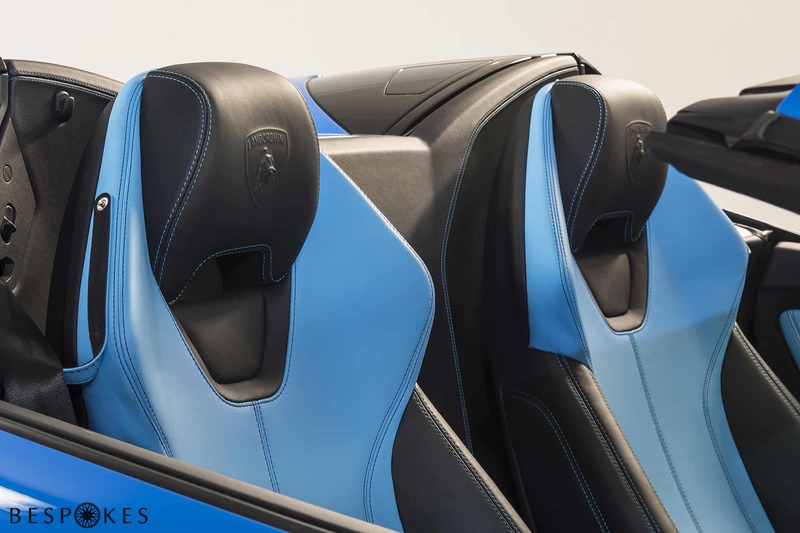 With an interior finished in exquisite detail and luxury trim throughout, Lamborghini has made great effort to ensure that the driver’s experience is never interrupted or compromised. 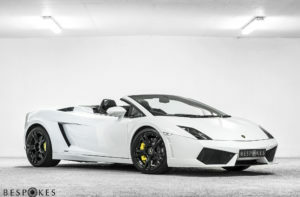 Crafted at the Lamborghini factory in Sant’Agata near Bologna, this supercar is Italian engineering at its best… and it’s available delivered to your doorstep from £2,995 for a 4-day weekend. 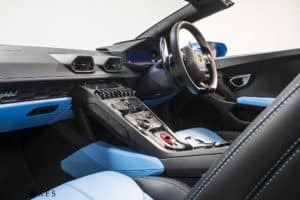 The Huracan supercar comes with an infotainment system via a large 12-inch touchscreen, which includes a sat nav, DAB radio and Bluetooth connection. 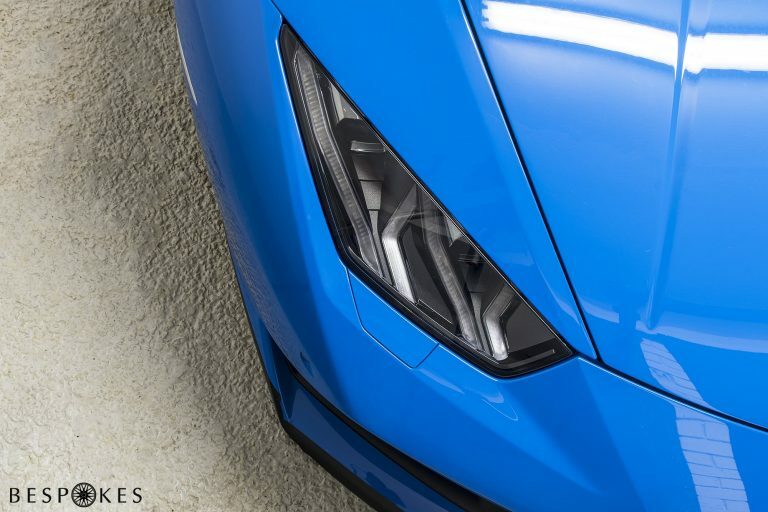 Lamborghini’s signature LED headlights offer an unparalleled vision in low-light conditions as well as 12.3 driver display that highlights the car’s current driving activity such as speed and fuel status. The driver can alter the acceleration and steering responses, the settings of the suspension and change the exhaust note to suit your preferences. Retract the hood at a cool cruising speed of 30 mph. Aviation inspired flip-cover starter button design. 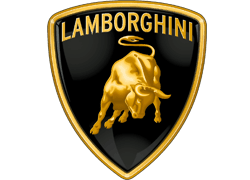 Captures the free spirit of Lamborghini, whilst delivering a sophisticated ride and an unforgettable driving experience. Our Lamborghini Huracan can be delivered nationwide. We also have regional depots in London, Cheshire, Hertfordshire and Bristol. Call us today on 020 7833 8000 or enquire online for the ultimate Lamborghini driving experience.